Maxwell Kofi Donkor is a Master drummer and Asante Prince who was born and raised in Ghana. Kofi was chosen to carry on the ancestral drumming tradition, and spent much of his childhood learning drumming from his grandfather. He has honored and pursued this commitment with a passion throughout his life. Kofi now lives and works in New York State where he is the leader of the Sankofa Drum and Dance Ensemble. The group promotes teamwork and community building through their performances and workshops at events, schools and festivals. 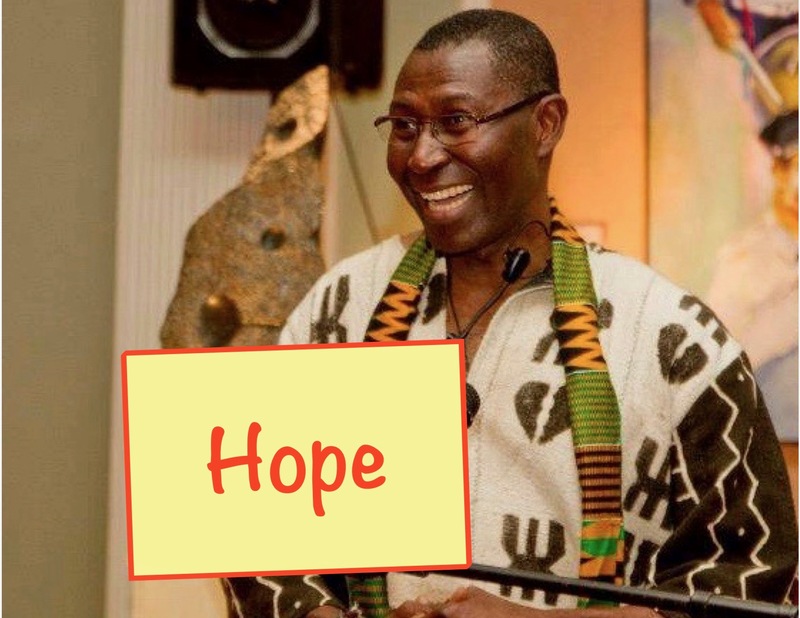 Kofi has been an active member of Bridges of Peace and Hope for many years and he believes that the arts (visual and performing arts) are a sure way to bringing people of all races, culture, and gender together in peace and love. When Kofi’s not working he often volunteers to help with the soup kitchen, and homeless shelter, and also spends time visiting patients at the hospital. He loves spending time with his children biking, hiking, sculpting, and playing basketball or soccer. His favorite foods are fufu (asante dumpling and soup), veggie pizza, and avocado, and he loves to cook.